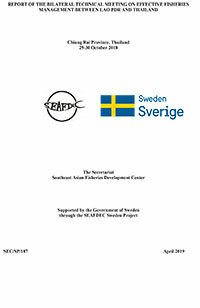 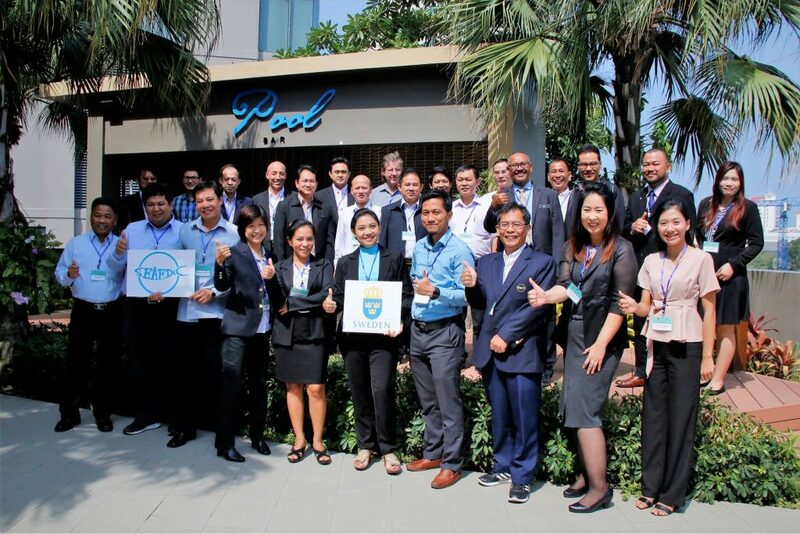 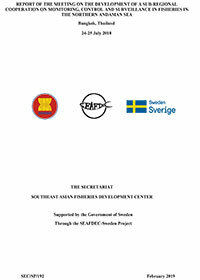 To strengthen the Gulf of Thailand (GoT) sub-regional cooperation, the SEAFDEC-Sweden Project organized the first Sub-regional Consultation on the Development of Monitoring, Control, and Surveillance (MCS) in the Gulf of Thailand on 31 October – 2 November 2017 in Chonburi Province, Thailand. 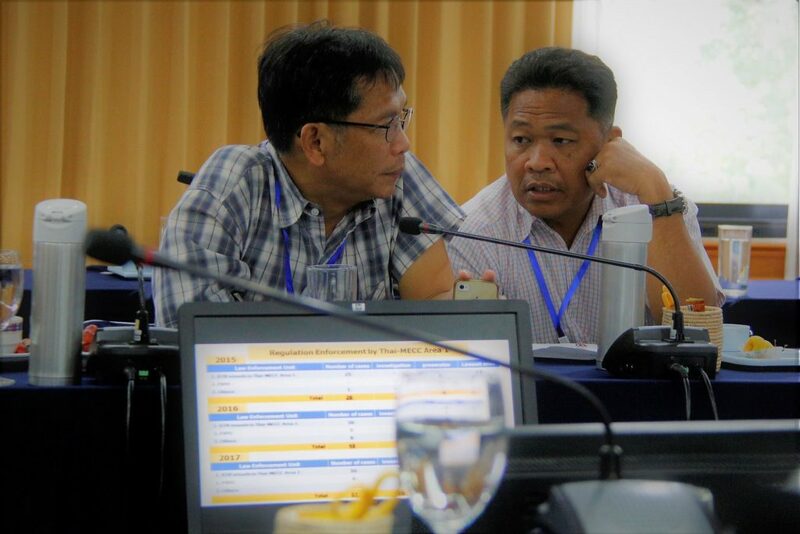 The Meeting aimed to enhance the sub-regional cooperation and identify priorities to establish MCS Network for improving trans-boundary fisheries management in the Gulf of Thailand sub-region. 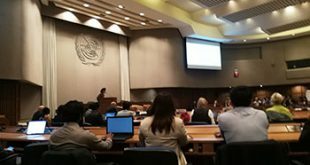 This Consultation was initiated to address one of today’s challenges of overfishing, degraded coastal and marine environment, increasing demand for land and coastal areas, and negative impacts of climate change, which are of main concern that countries in the Gulf of Thailand needs immediate action. 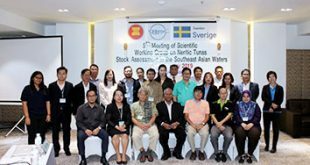 It was attended by more than 30 participants, representing policy makers from national agencies responsible for fisheries of four (4) Gulf of Thailand countries, namely: Cambodia, Malaysia, Thailand, and Viet Nam. 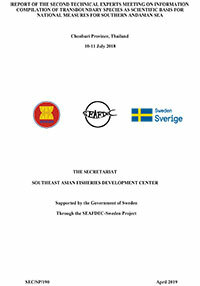 The MCS networking would focus on strengthening the enforcement of MCS practices and combating illegal (IUU) fishing through a coordination of existing national mechanisms. 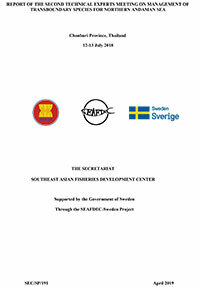 The development of sub-regional MCS network as a major force to keep track of the implementation of fisheries management plans could positively reduce long term damages on fish stocks and the marine ecosystems. 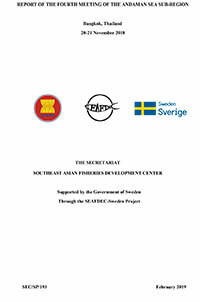 During the Consultation, the key steps and priorities to be undertaken were discussed and put in expected timeline. 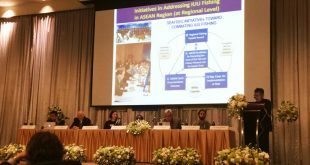 The participating countries’ representatives agreed to collaborate with responsible agencies to secure the mandate and approach for the establishment of the sub-regional MCS network to be linked with the existing national networks which would be put into motion starting in mid of 2018.